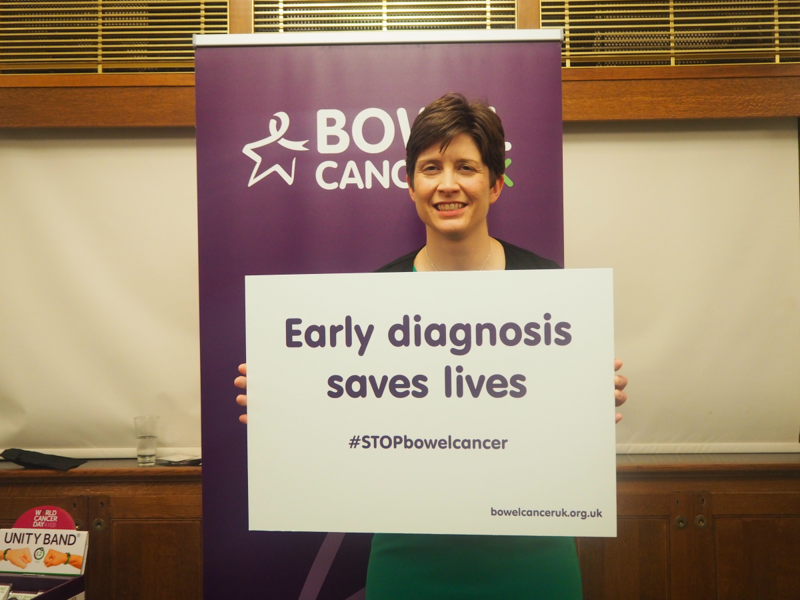 On World Cancer Day (Thursday 9th February) I was delighted to show my support for Bowel Cancer UK’s early diagnosis campaign. 9 out of 10 people survive bowel cancer with an early diagnosis, so it’s important that people get tested as early as possible as it could save your life. The Scottish Bowel Screening Programme routinely offers tests to those aged between 50 and 74 – find out more about the screening progamme.